Food Adventures of a Comfort Cook: Shoo Fly, Don't Bother Me. In Pennsylvania Dutch cooking, there is a pie that would put anyone in a diabetic coma; that pie is called "Shoo Fly". The name originates from the bakers having to "shoo" flies away from the pie, since the little buggers were very attracted to the molasses and sugar that are the two main ingredients. "Shoo Fly" is a dense, sticky pie; extremely sweet and definitely an acquired taste. 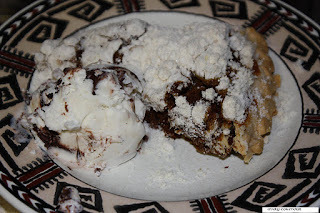 It is best served warm with a scoop of ice cream, usually vanilla, on the side; strangely enough, the ice cream mellows out the pie's sweetness. Farmers' Markets are the best places to find these pies as they are baked primarily by the Amish and Mennonite; and they make them fresh. You can find them in most Pennsylvania supermarkets, but unless they are baked right there in the supermarket, chances are they may be full of preservatives. Take the extra time, go to the local farmers' market and buy it freshly made; you won't regret the choice. 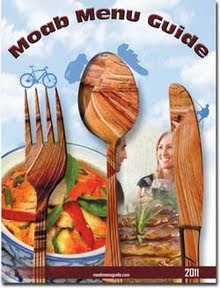 Finding Amish and Mennonite recipes can be easily done as there are many books available, and many sites online with recipes also. Each book and site claims that their recipe is the authentic one, but basically every county has a recipe, nevermind every family. Play around with recipes and see which one may be to your liking; or you may end up inventing your own after some trial and error. That is how my recipe came about, so try it, change it or just keep looking for another recipe you like better. On low heat, in a deep saucepan, cook together the molasses and water for 10 minutes; do not let the liquid boil. While liquid is warming, preheat oven to 375F; cover center rack with aluminum foil in case of dripping. In a large bowl, combine the flour, sugar, brown sugar and melted butter to form loose crumbs. Add the baking soda to the liquid mixture; it will become frothy; stir well to dissolve all the baking soda. 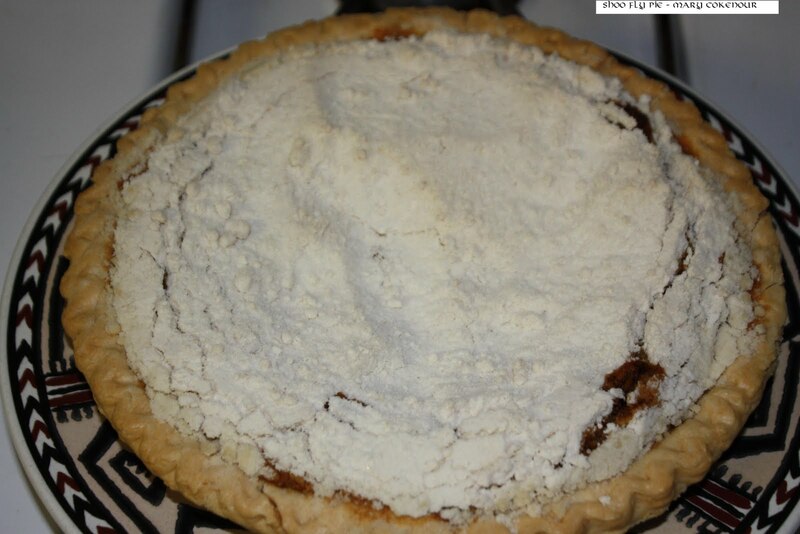 Divide the liquid between the 2 pie crusts; divide the topping between the two, slightly pressing some of the crumbs into the liquid. Bake for 10 minutes; reduce heat to 350F and finish cooking pies for 35minutes; let pies cool slightly before serving. Serving suggestion: while still warm, serve with a scoop of vanilla ice cream.